How to find us Meet at Gate to Shipyard Marina - next to Dog Park adjacent to Pier 13, Hoboken. 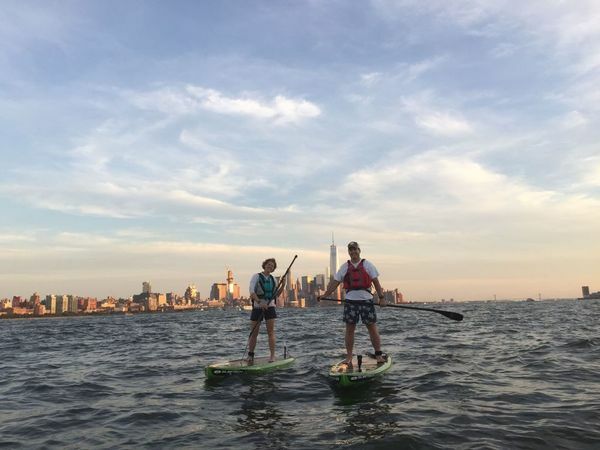 Join us for an early season SUP practice sessions! 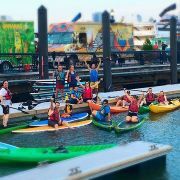 Be social and hang out afterwards at Pier 13 (https://www.facebook.com/Pier13Hoboken/). The fee for paddling is $25 dollars and it includes all related equipment: SUP board, paddle, PFD, ankle leash, coast guard required lights plus an ACA certified guide who, depending on tides, will take the group out on the river and provide safety guidance or offer paddle skill tips in the protected embayment. Please use this link to BOOK and PAY online http://www.resilienceadventures.org/ or plan to bring cash/card with you. Note: If you have not paddleboarded before please sign up for the Learn to Paddleboard class or the SUP ABC series instead. This SUP Session is for advanced beginners and higher level paddlers. If you just want to meet us out there on your own board, please contact us in advance and we can let you know where we will be heading. Check out our Facebook (https://www.facebook.com/resiliencepaddlesports/)page!